I would sum up last evening’s meditation experience as a time for cultivating and Be Compassion. The meditation at Wesak Valley, joined by the Spiritual Hierarchy, was a moment of deep connection with Lord Buddha – the embodiment of divine wisdom and the Planetary Logos responsible for the evolution of all satient beings on Earth. Through the group recitation of the Metta Loving Kindness Prayer, the golden blessings of enlightenment from Lord Buddha were shared with the world. Ascended Master Sanat Kumara then guided us in anchoring the Wesak light at Shamballa for the benefit of all Lightworkers. To the joy and satisfaction of all participants, the session ended with channeling their Personality Rays and initiating them to the respective Ray departments. To all who joined in the Wesak ceremony in person or through your heart connection, we thank you for contributing to the fulfillment of the divine plan for Earth. “Let Light, Love and Power Restore the Plan for Earth” – The Great Invocation. With Loving Kindness, Amara Tia Ann. 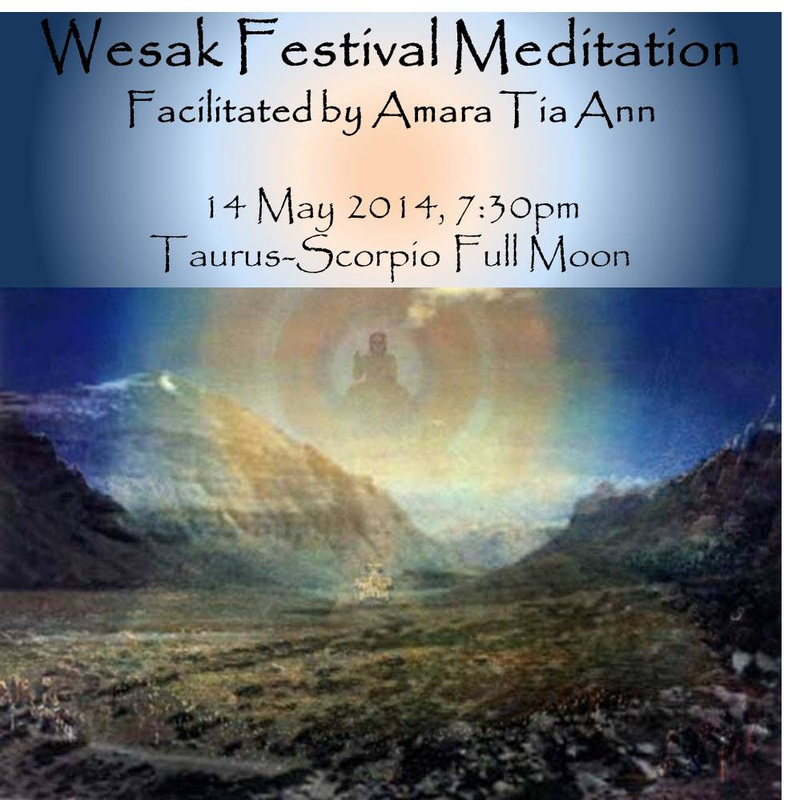 This recording can be used for reconnecting with the Wesak Festival annually on the full moon of May. Program of the event is available HERE. Price: Singapore $15 for the entire set. Audio Recording of Master Teaching Class 2012 – The Flame of Shamballa. Go to Product Announcement for details.